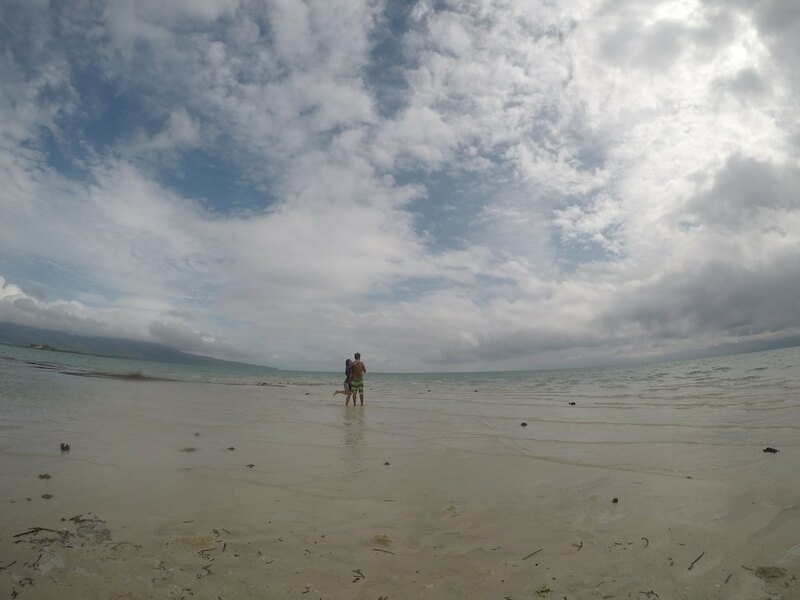 Manjuyod White Sandbar, April 2017 - The Manjuyod White Sandbar is one of the most beautiful natural wonders in the Philippines that we have ever seen. However, before we got the chance to behold it, we had to experience our fair share of shenanigans along the road. We are not complaining though because it made the trip even more worthwhile and memorable. Our journey to Dumaguete City is probably the longest we have embarked on so far. When we were planning this trip, we really wanted to sort of immerse ourselves in the experience by traveling via land. We left Bantayan Island before lunch and were at Hagnaya Port after 40 minutes. We boarded a Ceres Bus bound for Tabo-an (Php165/pax) and requested to be dropped off at South Bus Terminal. We intended to catch a Dumaguete-bound Ceres Bus but, unfortunately, the last bus was already full when we got there at around 5:00PM. It turned out, heavy traffic is also a problem in Cebu, aggravated by the scattered rain showers and road repairs. Anyway, we had to change plans right there and then. Since we were informed by the bus conductors that Liloan Port was closed, we took a bus bound for Bato via Oslob (Php205/head) instead and got off at Port of Bato in Santander town at the southernmost tip of Cebu. There, a ferry, bound for Tampi Port (Php70/head) in Negros Oriental, was waiting for the last bus to arrive. We boarded it and was at Negros Oriental in around 40 minutes. At Tampi Port, one may ride a jeepney, a multicab or rent a tricycle (Php350/2 pax) all the way to Dumaguete City. We were fortunate to catch a Ceres bus (Php65/head), the one we were supposed to board at South Bus Terminal, going to Dumaguete City. At last, after close to 10 hours of traveling, we arrived at The City of Gentle People safe and in one piece. That long journey traversing the entire island of Cebu was already quite an adventure in itself. The next day, however, had a lot more in store for us. We only had 3 hours of sleep. Notwithstanding, we were aboard a Manjuyod-bound Ceres bus (Php55/head) by 5 am. 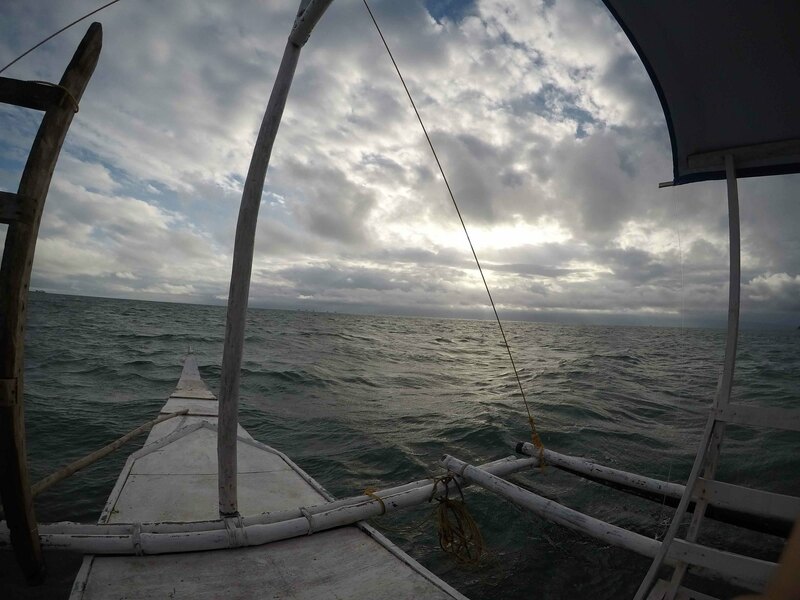 We were off to see the Manjuyod White Sandbar in Sitio Punta, Brgy. Campuyo, Manjuyod. 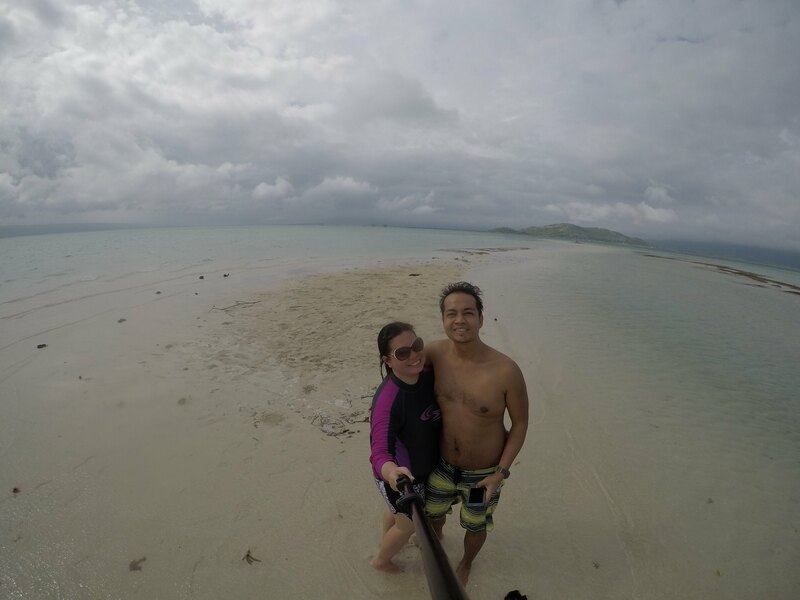 While Manjuyod White Sandbar, a 7-km. 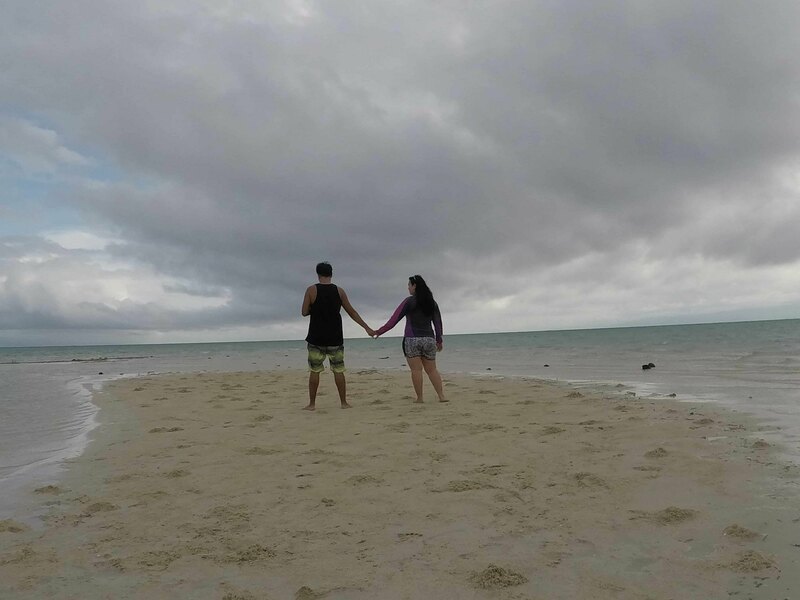 stretch of white sand, is under the jurisdiction of the Municipality of Manjuyod, the most popular take-off point is via Bais City. Sandbars or shoals form when sand and other sediments are deposited on top of ridges in the sea floor. 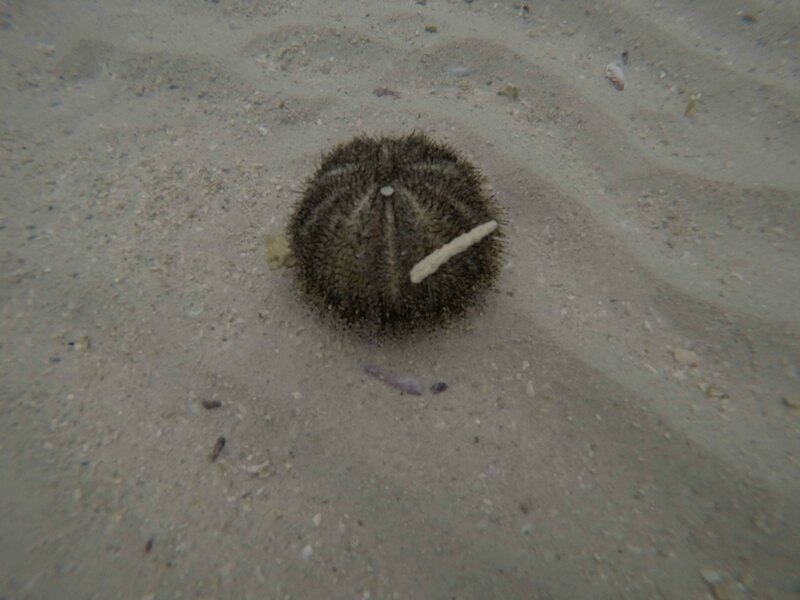 These become visible especially during low tide. We alighted at Bais City where Kuya Hadji (09774208051 and 09995226152, starts at Php1,700 for 2pax), our tour operator, was waiting to pick us up. 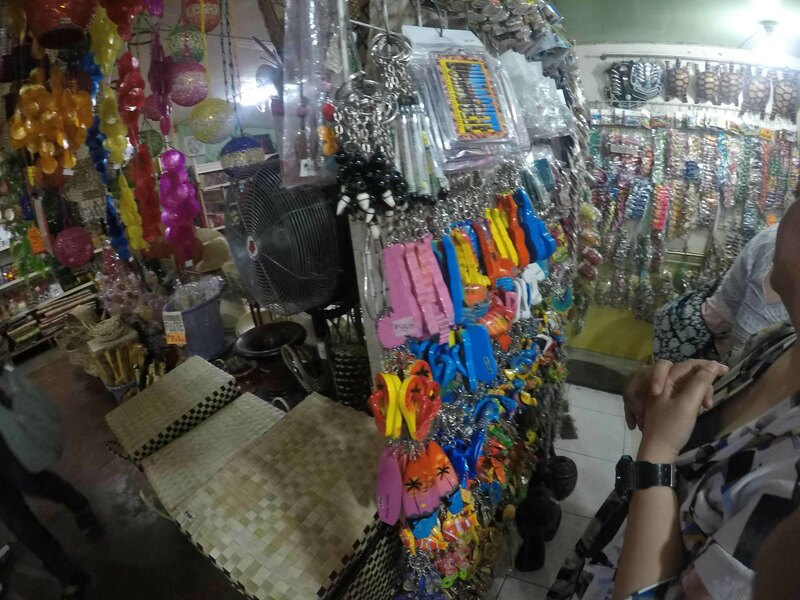 It turned out, Kuya Hadji is one of the more popular tour operators in the area, conducting an average of 4-5 trips a day. He drove us to Capiñahan Wharf where a small boat was waiting to take us to the Manjuyod Sandbar. Kuya Hadji told us that the perfect time to go there was during low tide (7-9 am and 4-6 pm). 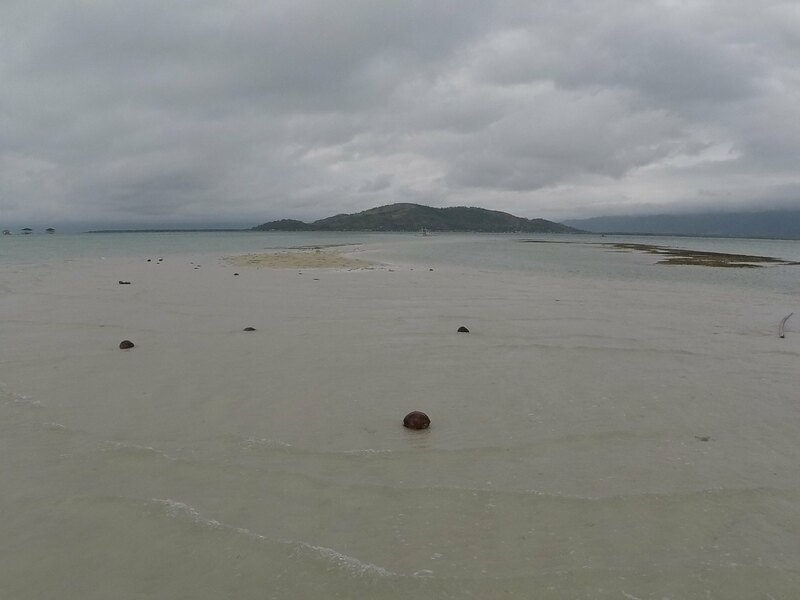 To our disappointment, the Manjuyod White Sandbar was not fully visible even if it was low tide but we thankfully found a segment that was exposed. We wasted no time and immediately explored the sandbar. 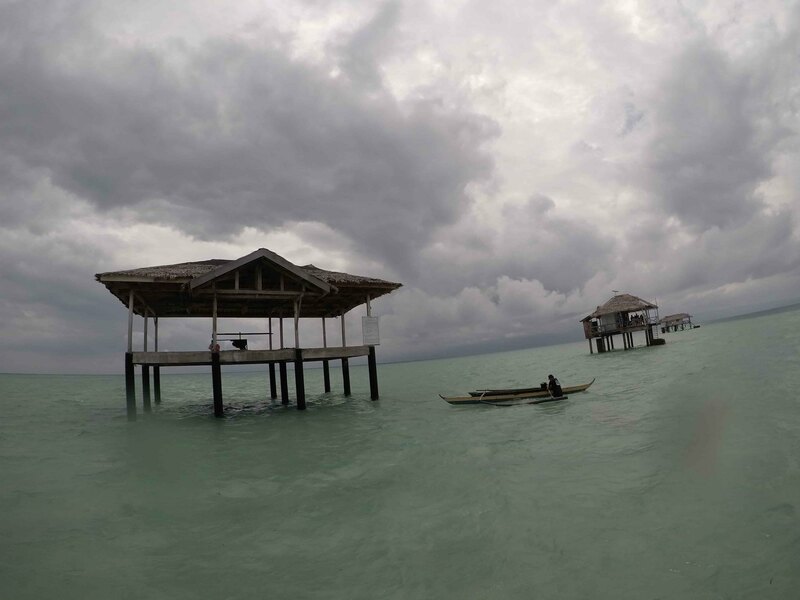 Save for three "floating" cottages, the place was devoid of any luxury or amenity; Manjuyod White Sandbar is a natural wonder in its most unadulterated glory. It was just a stretch of white sand and a seemingly endless horizon of aquamarine water. We stayed for three hours swimming and exploring the island. When it was already high tide, we decided to return to shore. We washed and freshened up at Kuya Hadji's grandma's house (Php20/pax) and by early afternoon, we were on the road back to Dumaguete. 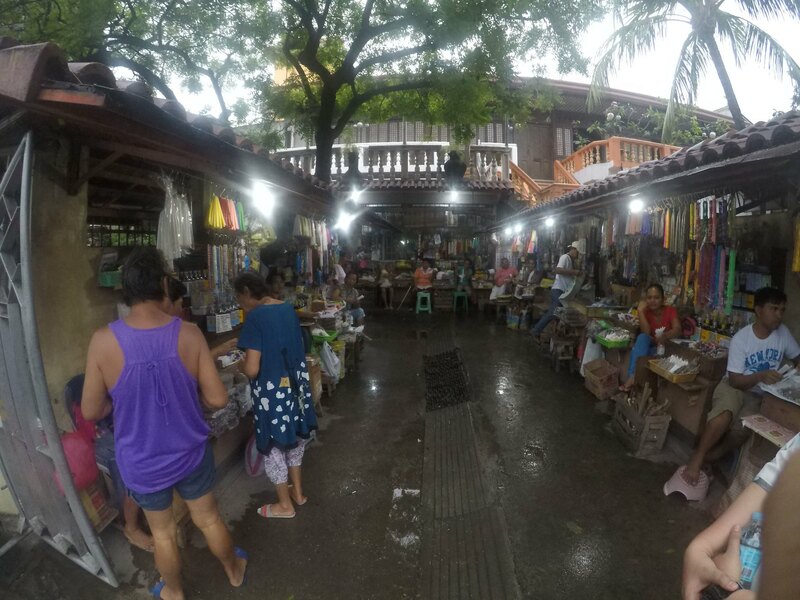 Dumaguete City, a tranquil waterfront community, is probably one of the most recommended places to explore when in search of a relaxed and slow-paced destination. Commonly known by its moniker as the City of Gentle People, Dumaguete City provides its visitors a breathtaking view of the Bohol Sea. 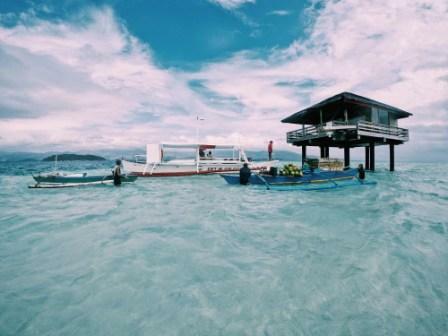 From Dumaguete City, one may ride a boat going to Apo Island, famous for its diving sites and snorkeling with sea turtles, or to the mystical Siquijor Island. 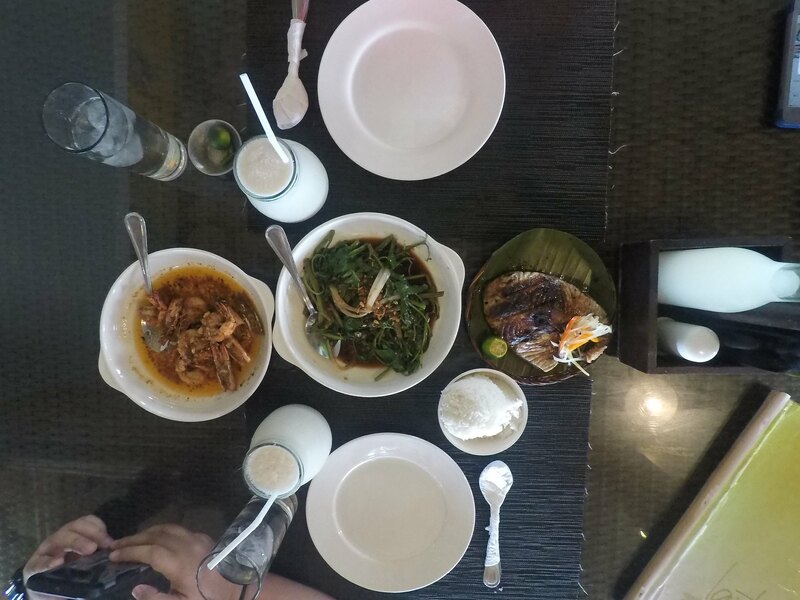 Upon arriving at Dumaguete, we had lunch at Lantaw Seafood Restaurant (Php1008 for a feast) and then proceeded to Handumanan Souvenir Shop in hopes of finding some affordable pasalubong and souvenirs. 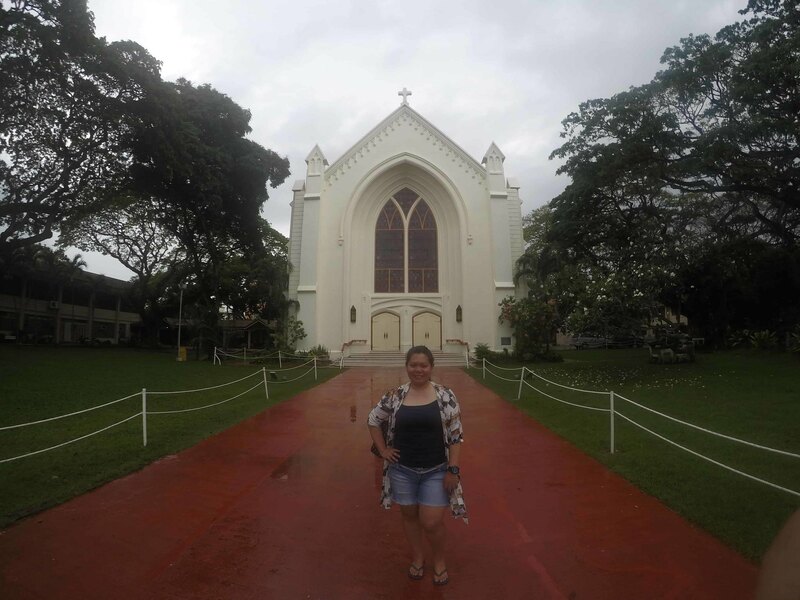 We did not find anything interesting so we decided to proceed with our walking tour around downtown Dumaguete. Dumaguete is a university town because it is home to four universities: Foundation University, Negros Oriental State University, St. Paul University Dumaguete, and Silliman University. 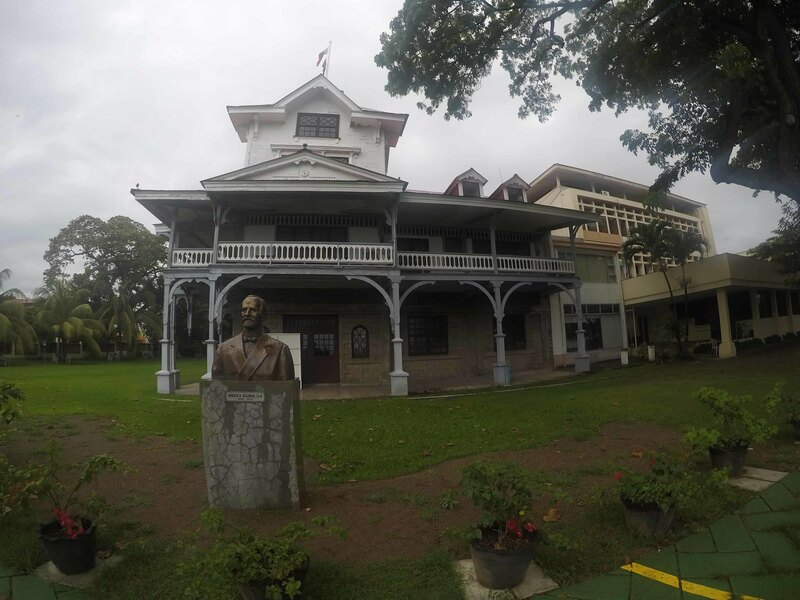 Among these four institutions of higher learning, Dumaguete City is perhaps best-known for Silliman University, the oldest American university in Asia. Should you wish to explore the campus grounds, just leave a valid ID to the guard-on-duty who will issue you a visitor's pass. 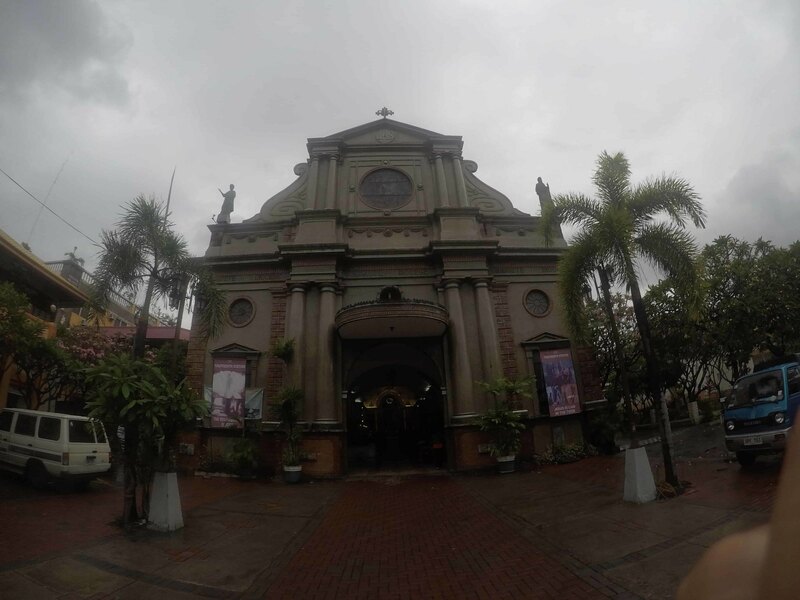 We also visited the 17th century St. Catherine of Alexandria Cathedral, the oldest stone church in Negros. It did not look old, possibly because the façade was renovated but the altar stands grand and impressive with intricate pillars and arches that frame the tabernacle. 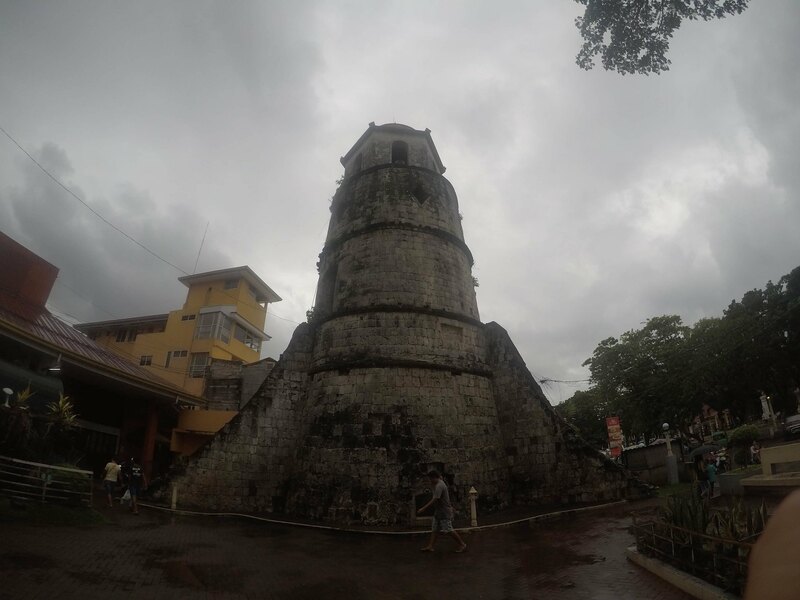 Beside the cathedral is a stone belfry, the Campanario de Dumaguete said to be the oldest structure in the whole Visayas. It was originally built as a watchtower in the 1700s to be able to catch sight of incoming Moro intruders. 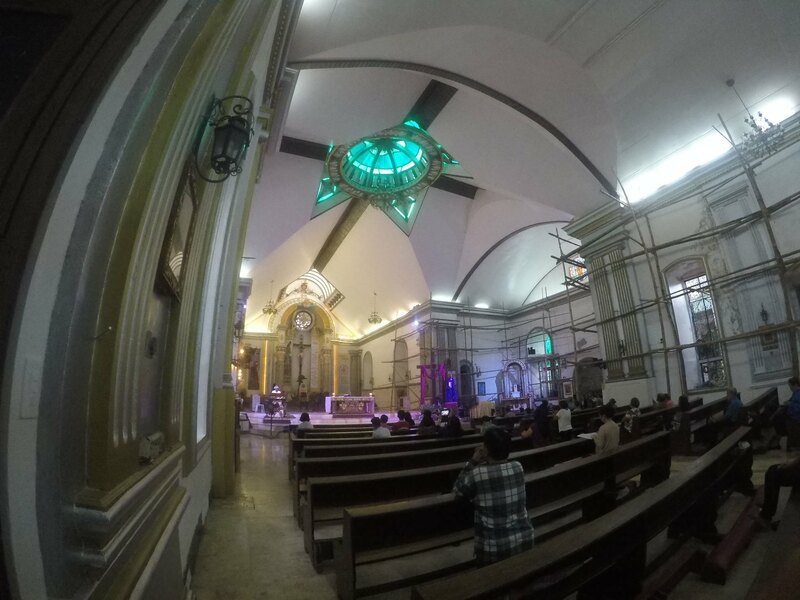 It was built by then parish priest Don Jose Manuel Fernandez de Septien. The belltower or campanario, meanwhile, were added during the time of Fray Juan Felix dela Encarnacion in 1867. Across the cathedral and belfry is Quezon Park when one may take a leisurely walk. It’s a popular spot for spending quiet afternoons after work or school. Here, you'll find statues of Jose Rizal and Maria Clara, vintage canyons and fire truck, and the local tourism office. 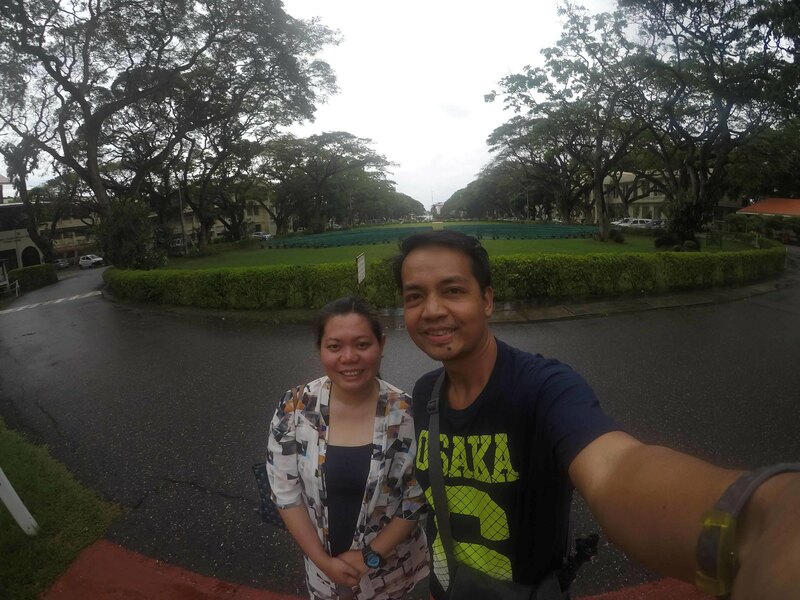 From the belfry, we walked all the way to Rizal Boulevard, considered as one the city's historical landmarks because it is said that Dr. Jose Rizal once took a stroll along this stretch. 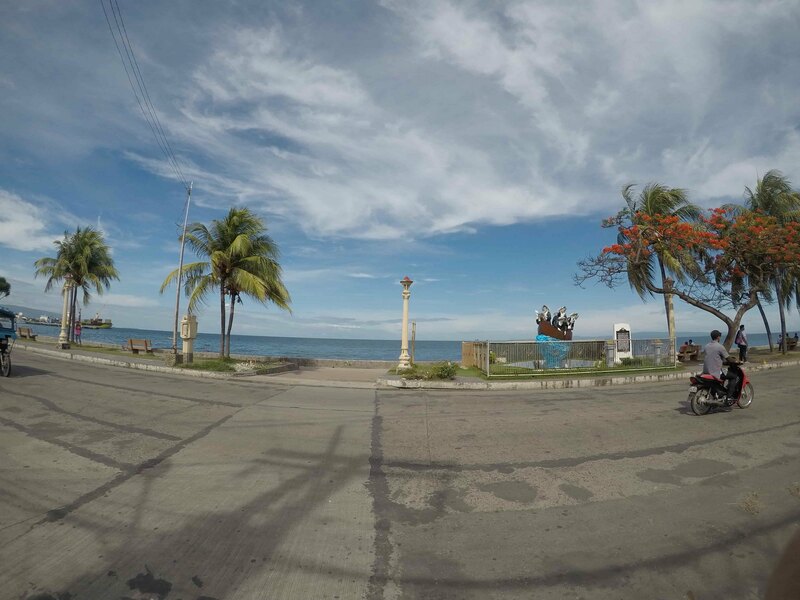 Overlooking Dumaguete Bay, it is perfect for taking a laid-back walk while enjoying the gentle sea breeze. Apart from these popular sites, you may also want to consider visiting heritage houses that are scattered throughout the city. These are mostly Spanish-era houses that have withstood the test of time. 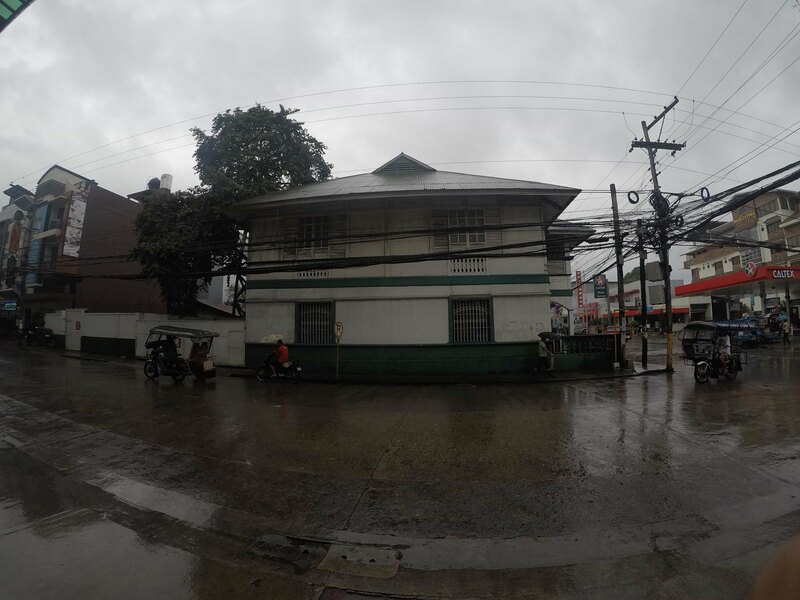 An old house along Dr. Locsin St. 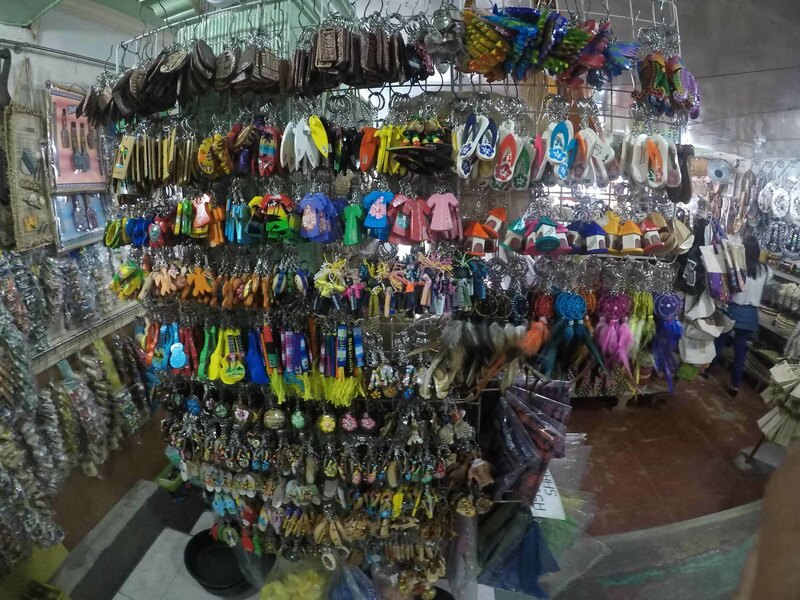 Most landmarks in Dumaguete City are proximate to one another hence, it is best to explore the city center on foot. But if you prefer otherwise, tricycle is the other best option to roam around area. Minimum fare is Php10/head. Furthermore, if you are booking a hotel, you might want to consider one that is right across Rizal Boulevard. Most popular restaurants and bars are located along the stretch parallel to Rizal Boulevard. 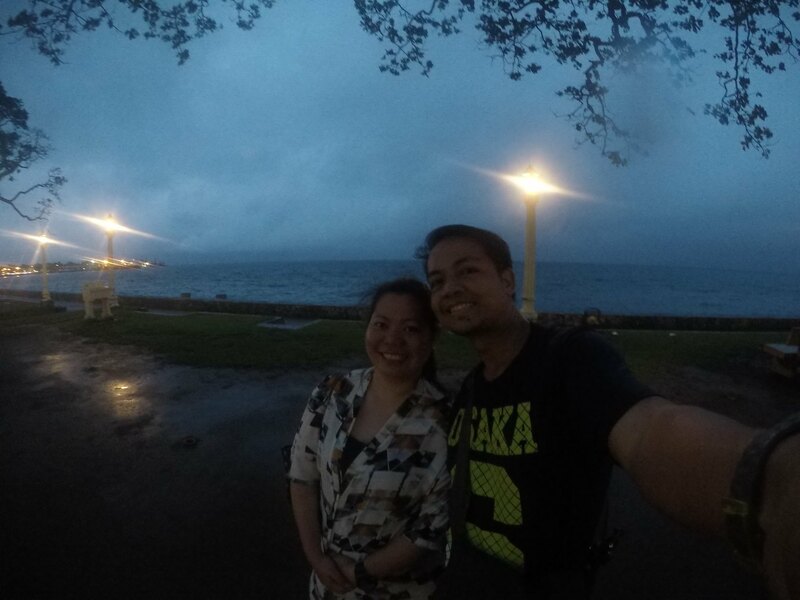 Thanks for sharing your vacation in Dumaguete! That was very informative. Though I noticed the sky was a little downcast when you went to the island. Must have been raining. Yes, it was raining. 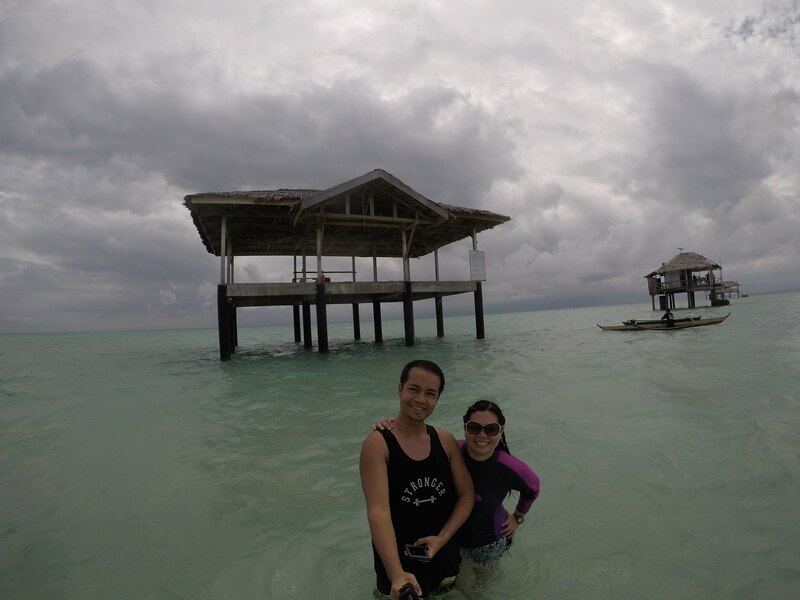 Actually, the whole week when we were in Bantayan Island and Dumaguete, it was always drizzling. Thanks for dropping by! Glad to be of help. Yup, there are endless places to go to in the Philippines. Thank you! There's Bethel Guest House and Honeycomb Tourist Inn, they're right across Rizal Boulevard. Thanks for the response. We're Planning to visit Dumaguete this June. Glad to be of help! 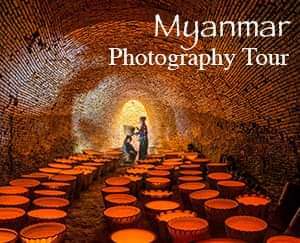 Enjoy your upcoming trip! Thank you. You guys are such troopers for only having 3 hours of sleep after 10 hours of traveling! This looks like a beautiful part of the world (omg that stretch of white sand) and I'd love to explore Dumaguete City on foot. Beautiful clear water and historical sites...this looks like my perfect destination! I love learning all the details of places I've never been to and this blog post has so much information I'm excited just thinking about Dumaguete City! I'm glad you were able to find a few sandbars to explore, although it didn't look like there was a lot of sealife around! I just toured some local Universities with my brother, so I think I'd love to check out the university as well! Thanks for sharing your adventure! Philippines sounds cool for visiting. And thanks for the tips: traveling in foot makes immersion of culture easy. Wow, you had quite the trek getting there, but the information on the problems you can run in to is really valuable. It looks beautiful once you made it to Dumaguete City. I would love to walk around the little shopping areas, and the sand bar would be a favorite, too! You'll enjoy the many secluded beaches here. Visit the Philippines soon! Thanks for dropping by! Yup, quite an adventure! Thanks for dropping by! Thanks for dropping by! Visit the Philippines soon! Yup, not much marine life. Dumaguete City is a beautiful waterfront university town. Hope you can visit the Philippines. Thank you! We fell in love with this trip, too. We're actually hoping to go back soon. It was worth all the commute! Thanks for dropping by! It was worth all the commute! Thank you! That adds to the whole adventure! And maybe we were just so excited with our trip. Yup, this part of the world is pristine. That sandbar is even more beautiful when exposed. Thanks for dropping by! That sandbar is even more beautiful when exposed. Thank you! The Manjuyod Sandbar sounds really fascinating. A wonderful and unique phenomenon of nature. It was a pity that the entire sandbar was not visible, but however from what was visible it definitely is a unique landscape in the sea. Would love to visit this place. Today I have discovered another treasure of the Philippines. Thank you for your kind words! This early, we're already planning on returning. Hope you get to see it, too. Happy travels! These are terrific shots. Bookmarking this post for future reference.